The Foodback app “Your feedback for healthier food places” has now launched and is available on both Android and iOS stores. 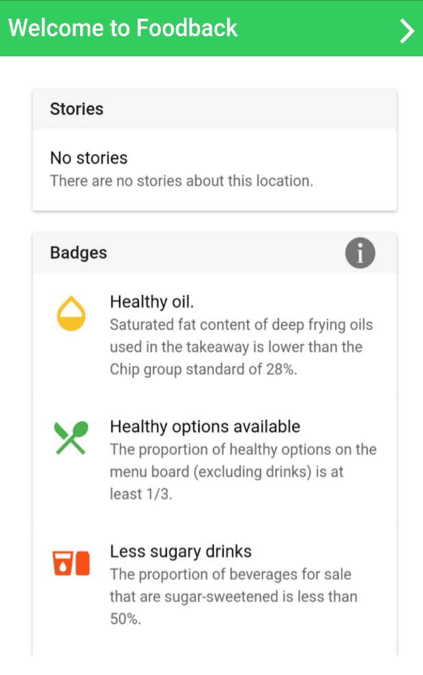 The Foodback app should facilitate a more straightforward data collection for certain settings and especially for advertising in school food zones. The app will present immediate feedback on healthiness of food places for which data have been collected. Foodback empowers you to create healthier food places in your community, by allowing you to review the healthiness of foods advertised and sold in food places in your community. This includes foods sold at schools, medical centres, hospitals, supermarkets, fast food and takeaway outlets, sport and recreation centres and events. You can share healthy food initiatives on Foodback and stay up to date with the latest stories on healthy food places in New Zealand. You can also look which food places in your community earned “badges” (e.g. sugary drink free) and “medals” (e.g. bronze, silver, gold) for their efforts to improve the healthiness of the foods they offer and advertise. 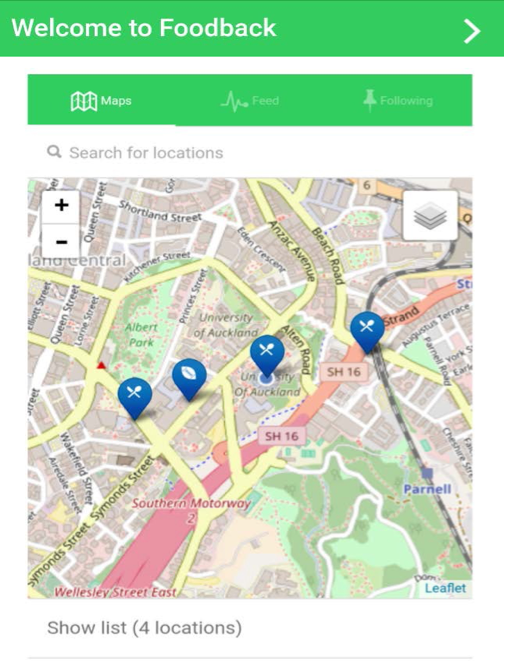 The data collected with the Foodback app will be used by researchers at the University of Auckland to understand the healthiness of New Zealand’s food environments and to help encourage and support local and national change agents to make positive, healthy changes to foods advertised and sold in New Zealand. Let us know any thoughts or comments you may have. We are planning further developments as we go, including a website with display of results of data and stories gathered from across New Zealand. The launch of the app to the wider public is planned for later 2017, but please use, share, contribute now.